Eek! Tomorrow is the Cosmopolitan Blog Awards in London at the OXO Tower on the Southbank. To say I’m excited is an understatement! The event looks amazing with lots of treats and surprises in store as well as the announcements for all the winners. As you might expect it seems that Cosmopolitan are pulling out all of the stops and really putting on a show for us bloggers. I’m shortlisted in the Best Interiors Blog category with some other fabulous Interiors bloggers. I’ve written about them for the Britmums Home roundup this month and they make a stunning collection of blogs. I really am honoured to be part of such a talented group. The Awards themselves are sponsored by NEXT who will be bringing along their Christmas collection and their very own NEXT models. If you want to follow the action on the night it will all be on Twitter with #CosmoBlogAwards. So am I ready? 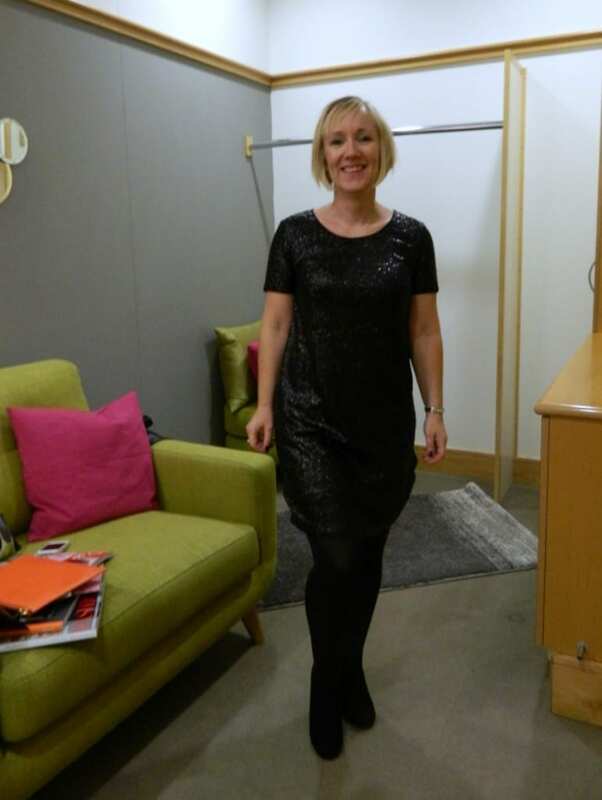 Well I finally think so thanks to the wonderful Lucy, Personal Stylist at John Lewis Nottingham. I felt like it was time for a treat, and with the new fashion ranges hitting the shops daily it was time to get some input from an expert. What should I wear to the Cosmopolitan Blog Awards? What’s hot right now and what will keep me looking as good as the fashion bloggers? I’ve met Lucy before and knew she’d have some great input and insight into what would make the perfect party outfit for me so I went along for a Personal styling session. 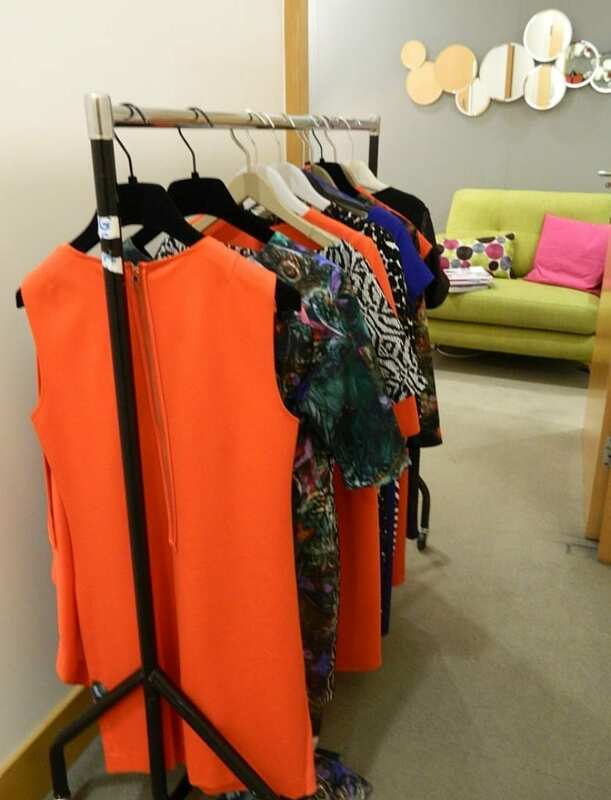 John Lewis offers 3 different types of Personal Styling service that meet different needs. Firstly there’s the 1hr Style Express, ideal if you want to choose a new Winter coat or need to update your jeans. If you don’t have much time this 1hr service is perfect. If you do have more time and maybe want to update your Winter wardrobe or shop for a special occasion this service is for you. 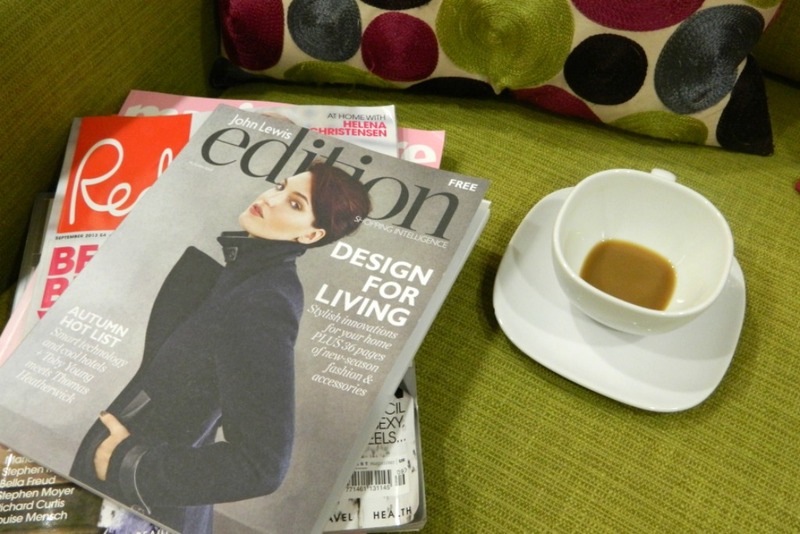 Relax with a drink and magazines whilst your John Lewis stylist sources some great items to try. Benefit from their expertise, knowledge and feedback. Both of these services are complimentary. Finally, there’s the 3rd new service, the Style Profile where you colour, shape and style preferences are analysed to find the perfect wardrobe for you. This one costs £125 but is redeemable against purchases of £500 or more. My 2 hour Style Experience was wonderful; relaxing, fun and inspiring. Lucy really knows her stuff and is a dream to get along with. Professional and stylish yet not intimidating this is a great service that everyone should experience before they buy new items for their wardrobe. You need to be open-minded; many of the items chosen might not be those you would choose. But that’s the beauty of a style session like this, it takes you out of your comfort zone and encourages you to experiment and try new things. Having said that, I didn’t feel pressured into choosing something that wasn’t ‘me’. What did I go for? Well I’m keeping the full outfit top-secret for now but I will give you a sneak of the some of the dresses and wonderful accessories. 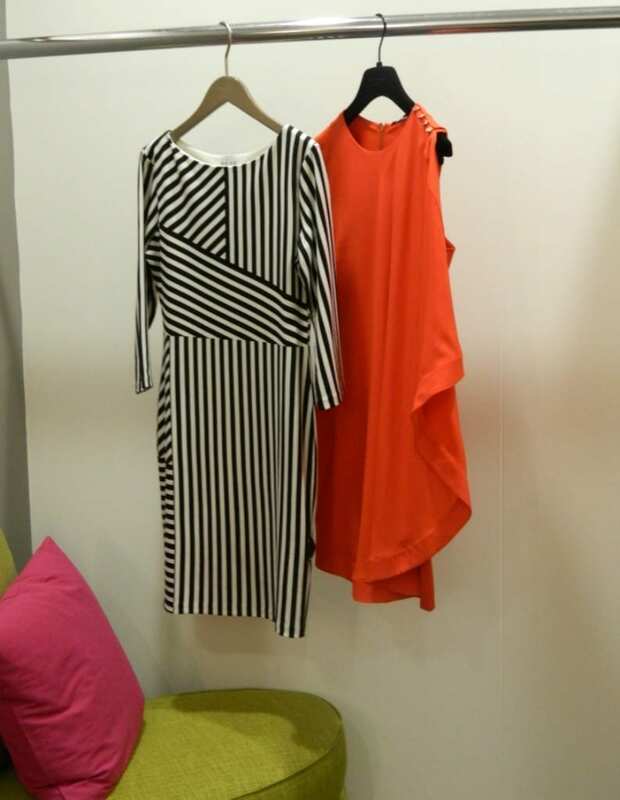 One of these dresses is ‘The One’. 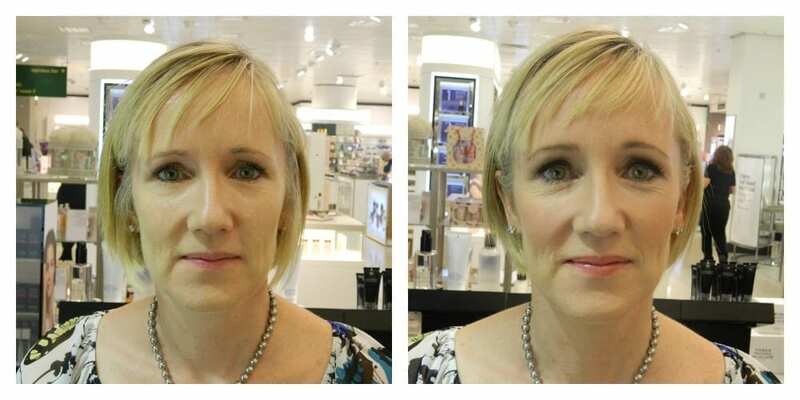 As if that wasn’t enough, I was also treated to a makeover at the Bobbi Brown counter in John Lewis. I’ve never tried Bobbi Brown products before but I’m loving them. Beautiful packaging and lovely quality, well worth investing in. Check out my before and after! A lovely touch I think above. 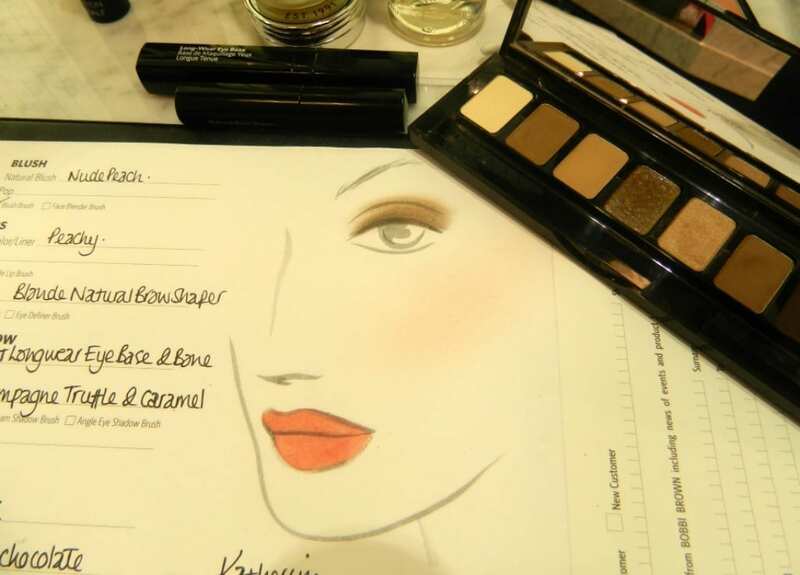 It’s a colour card and product list of all of the items used in the makeover and another little reminder of how to apply them. Thank you to the wonderful staff at John Lewis who treated me and looked after me brilliantly. I will feel a million dollars at the Awards tomorrow night. Part of what I enjoy most about the blog is collaborating and working with some wonderful people and brands on different projects. The Cosmopolitan Blog Awards is no exception and so thank you to the Premier Inn for providing me a place to stay tomorrow, and to Homebase for their ongoing collaboration with me on this project and others. I love my new Homebase blog wallpaper in honour of their support. And of course to John Lewis (Nottingham) for my special day. 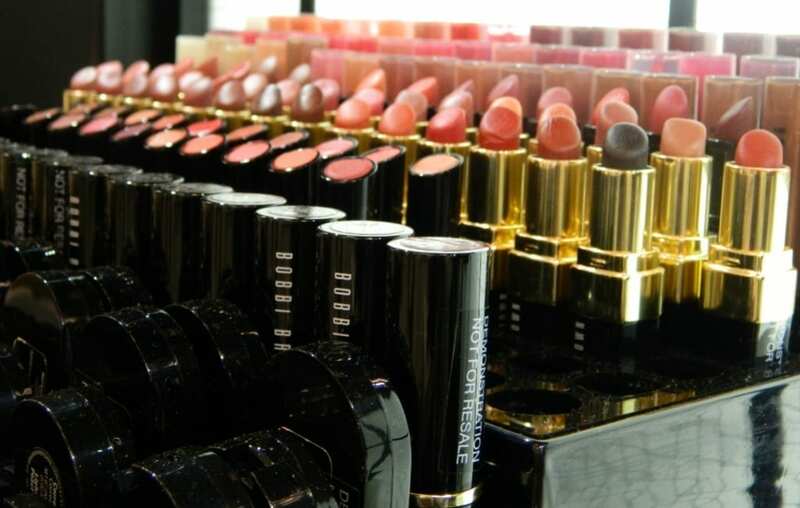 Ooooh I love Bobbi Brown, so natural and enhances your best features beautifully! Gorgeous! Love the dress choices, can’t wait to see a pic of the final outfit. Pingback: The Cosmo Blog Awards - Best Interiors Blog - Winner!